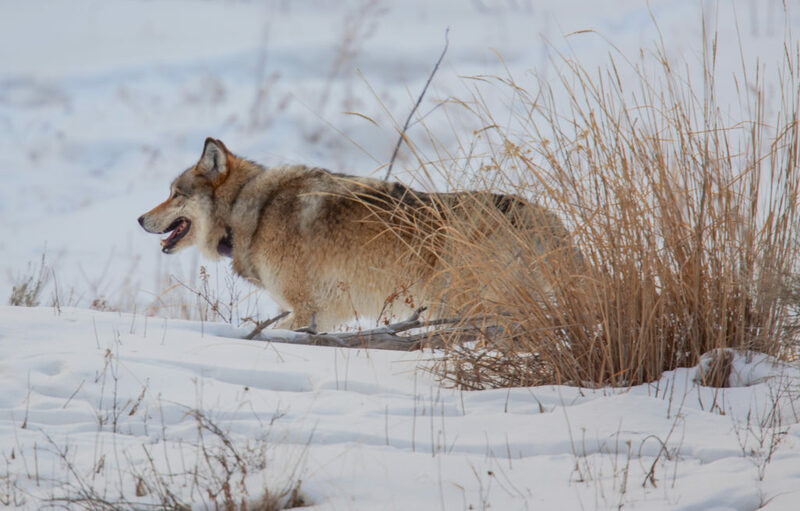 We have spent the last 20 years supporting organizations who have fought to protect wolves across the United States and especially in the Greater Yellowstone ecosystem. We travel year after year to Yellowstone, especially in winter to view them through a scope, and when extremely lucky, see them up close such as in the photo above. We have watched wolves from over 8 packs throughout the years and cannot image the park without them now. During this time, we have also seen the wolf make a comeback in areas such as Minnesota, Michigan and the Pacific Northwest. It has taken decades to bring the wolf back from the brink of extinction in our country, and now the current administration is planning to delist them from the Endangered Species Act at a time when they are still so vulnerable. There is so much that goes into this debate and it would take too long to discuss all the different aspects of this debate. I thought I would list some great articles and organizations here where you can learn more or take action instead. My hope in posting this is that those of you who haven’t been advocates of the wolf in the past could step up and get involved as the Trump Administration attempts to delist them across the country. They are already hunted and killed in large numbers across Wyoming, Idaho and Montana and we will see this increase more in these states and others if they are delisted. Please stand with me to fight this proposed delisting.